Cook Burger in its own juices. Warm wheat bun in microwave and then place burger on bun. Top burger with sauce and mozzarella. Warm again in microwave for about 30 seconds until cheese melts. Preheat oven to 375°. Prepare a baking sheet by lining with parchment paper. In a large mixing bowl, combine all ingredients. Mix well, do not over mix or you will have tough meatballs. Using a 2 tablespoon scoop, portion out meat and place on baking sheet. 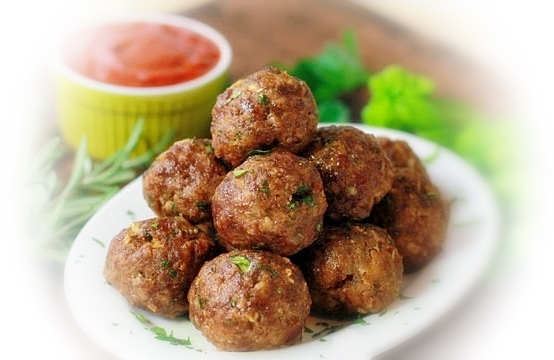 After all meatballs have been scooped onto tray, roll into balls. Remove and transfer to sauce or serve immediately.